This is the night sky over my backyard facing north in The Woodlands, Texas! After many days of overcast skies, we finally had a crisp cloudless night here in The Woodlands. 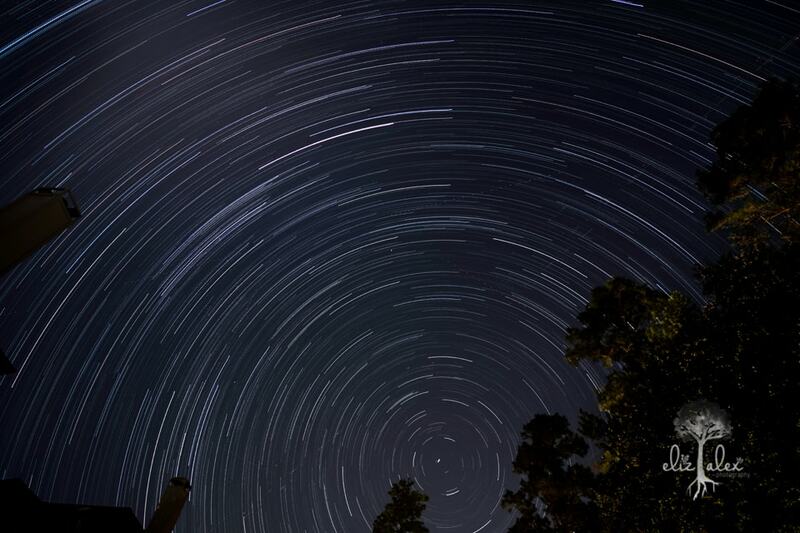 These are star trails and it shows the movement of the stars in the sky from about 8:30 pm to 10:30 pm on Tuesday, February 12th. 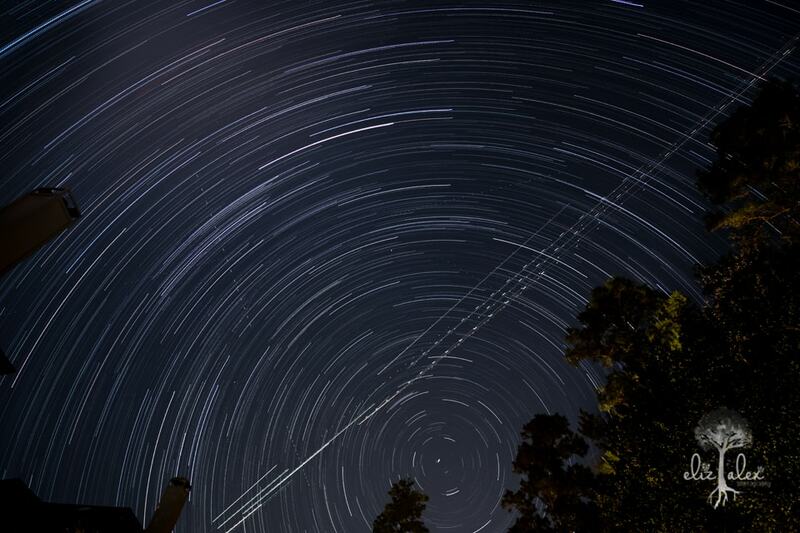 That center point star down near the bottom of the images is the north star. The cool things is this was just a practice test to be sure I have my settings correct, for when we visit Utah. Utah has several official dark sky locations and there are a million more stars visible out there. As you can see here my next door neighbor’s chimney and own own chimney on the left, and our trees and woods on the right. I also hope to be able to get a pretty lake or just a better composition in my image from Utah. So fingers crossed for a crisp cloudless night in Utah! A couple of years back, I tried to get some star images from our old driveway in Allen, Texas, but that was all for naught. So to get this in my own backyard is so impressive to me. A thing I so love about the FUJI XT2 is the built in intervalometer – so no need for batteries and to attach an external intervalometer. I just set the camera up, put the kids to bed, watched This Is Us, then went out to grab the camera – so easy. The most difficult part was pulling together 181 20 second exposures into Photoshop. That took almost as long as it took to to make the 181 images, so I’ll have to find another way that works faster. This is the image after I combined all the 181 images, and you can see the clear plane path of the plants on their way in or out of the George Bush International Airport in Houston, Texas. Little people call her Camera Girl. Elizabeth’s little people, two boys, call her Mommy. She calls on her Canon, enthusiasm for the outdoors, creativity as a former toy-maker, excitement for discovery and addiction to Starbucks coffee to guide the littles and their families on photograph adventures. Elizabeth’s love of nature and volunteer work at a local land conservancy keep her connected to the land and always seeking new settings where she can capture the natural light, the beauty of the local fauna, and the candid and magical moments of the families she guides.